On December 15 2018, popular vlogger Nas Daily also known as Nuseir Yassin stated his intention to join politics in a 3-minute long video. He made this declaration on Day 978 of his daily video series. Nas cited Singapore as a “positive example of good politics”. His announcement came as a shock to his fans as Nas has over the last three years consciously avoided hot potato political discourse by focusing on his brand of one-dimensional positive sloganeering in video format. Now, barely 3 months after Nas Daily announced his intention to join politics, he is moving to Singapore with his girlfriend and media company. Nas Daily’s latest announcement raises several important questions. What kind of “content” will Nas Daily’s media company be posting? Will Nas Daily delve into local politics, given his stated intention if “going into politics”? Will he be considered as a foreign interference on local politics if he actively campaigns for political issues on the government’s behalf? With legislation already on the cards for deliberate online falsehoods (DOFs), the Government’s attention has shifted in parallel to specific foreign and state actors, intent on interfering in Singapore’s domestic politics via other means. In 2017, the Ministry of Home Affairs banned Pink Dot Singapore from securing funding from “foreign entities”. In April 2018, the Accounting and Corporate Regulatory Authority (Acra) rejected a bid by New Naratif to register a company OSEA Pte Ltd set up to provide editorial services to New Naratif, which publishes articles on South-east Asia. New Naratif publishes articles on democracy and human rights in ASEAN. ACRA defended its decision saying that the website New Naratif’s political activities in Singapore “would appear to be funded by a number of foreigners”. 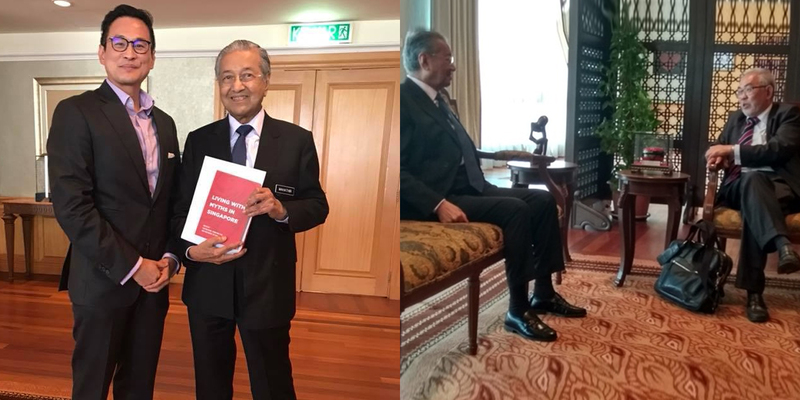 In September 2018, furore erupted after activist Kirsten Han and historian Thum Ping Tjin, and lawyer Tan Wah Biow met with Malaysian Prime Minister Dr. Mahathir. Key government officials were quick to take the trio to task and focused their ire on Thum insinuating that he is a traitor who wanted foreigners to meddle in Singapore’s affairs. If the government wishes to maintain its legitimacy, it must take a hardline approach to Nas Daily’s media company, as they had previously done with Pink Dot Singapore and New Naratif. This would entail a ban on all content that relates to local political discourse and de-registration of the company should it violate this ban. Should the government ignore Nas Daily’s political activities, it would only prove that their talk about preventing “foreign interference on local politics” is a thinly veiled attempt at silencing voices the government doesn’t agree with while permitting voices that heap praises on the PAP Government.